How old is your internet router? Is it still serving you well since you bought it? Well the D-LINK DAP-1520 IEEE 802.11N is so far what you need in this day and age. It is what you need for your home or business. 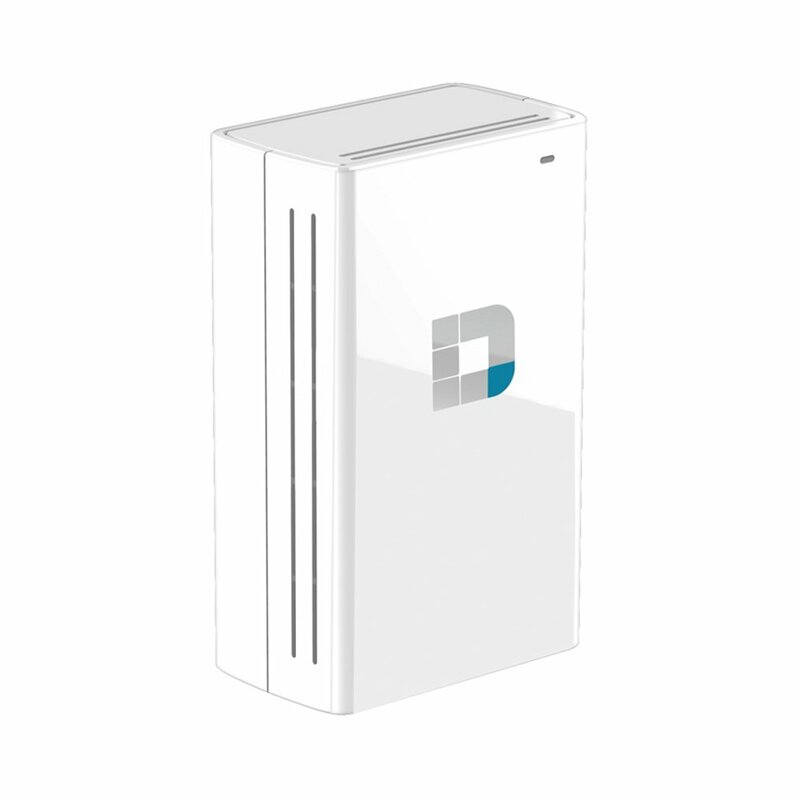 D-LINK Company offers a wide range of routers to help you meet your needs whether at home or in your business. A wireless router is connected to an existing network cable, NBN or a DSL modem for the purposes of creating a secure wireless network which then you can share your internet connection with everyone in the office or at home. Therefore, when your existing router becomes outdated, you need to replace it with a new one. When your router becomes worn out, internet speeds may significantly drop, and you may face a host of problems with the network. These days, there are new method routers such as the D-LINK DAP-1520 IEEE 802.11N which works exceptionally better than most routers in the market today. This article looks in detail what one should expect after purchasing this router. The good thing with this router is that it is wireless and it sends internet data from the internet cable right into a device. It acts as a wireless access point that shares internet data through radio signals rather than through another cable. The D-LINK DAP-1520 IEEE 802.11N, by D-Link of model number DAP-1520, weighs only 3.2 ounces which are approximately 104 grams. It is white in color, whose dimensions in length, width, and height are 2.25×1.4×3.6 inches. 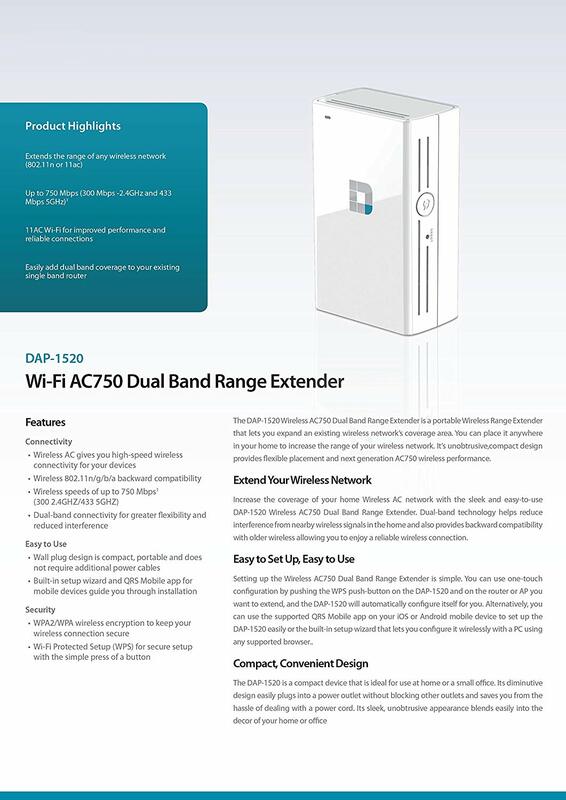 The D-LINK DAP-1520 IEEE 802.11N is sure to extend your home or office wireless network coverage. With speed of up to 750 Mbps, that is 433 Mbps – 5GHz and 300 Mbps -2.4GHz, nothing is off-limits. You will enjoy seamless online streaming at very high speeds. The router also allows for the high-speed wireless AC connectivity for your PC, smartphones as well as tablets. It comes with 2 antennas. As stated earlier, it is easy to add dual-band coverage to the already existing single band router. This technology will ensure that nearby wireless transmitters do not interfere with your network. The D-LINK DAP-1520 IEEE 802.11N is compatible with router brand that is wireless. It is WPA2/WPA wireless encrypted for security reasons, as this encryption keeps your wireless connections secure. It is available with the WPS, (Wi-Fi Protected Setup) for a secure set up with a slight press of a button. Its wireless features include WPA2, WPA, WPS, and 64/128-bit WEP. The DAP-1520 has AC 750 responsible for providing a bandwidth of up to 300Mbs on the 2.4 GHz as well as 433Mbps on the 5GHZ band. The D-Link DAP-1520 is sure to add the faster and a reliable 5 GHz to an existing signal band. This improves the existing signal performance as well less performance if any. The dual-band technology reduces interference from wireless signals nearby, while the next generation 11AC Wi-Fi if for backward compatibility with any old wireless device that may be existing in your network. This, therefore, enables you to enjoy a super-fast and reliable connection. The range extender works with a running Roku device that is on a Wi-Fi connection. It is easy to set it up, as it is wall mountable thus no extra power cables that may clutter your house or office. Also, it is adopted for backward compatibility meaning that you can use it with your old devices that exist in your network. Its beautiful white color will enhance your home or office décor. The router is wireless. Thus there is no need for extra wire connections. Such connections end up cluttering your space. It works with phone and other mobile devices. 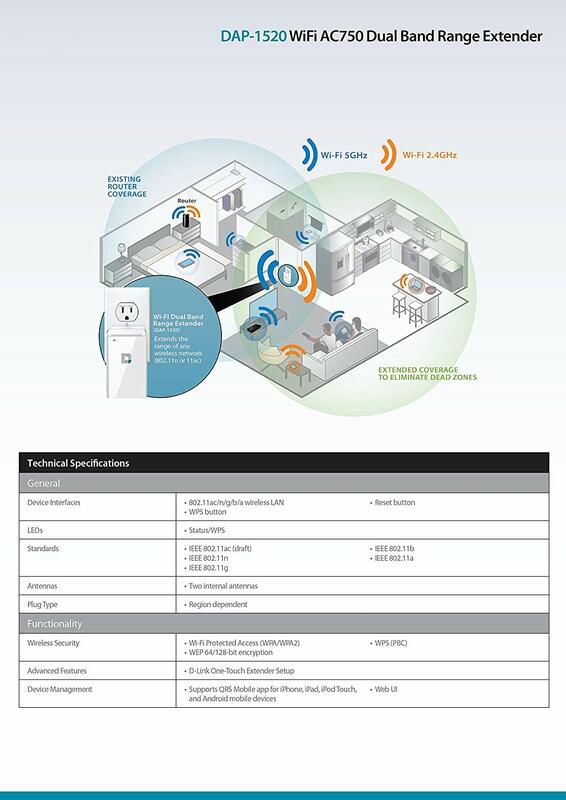 Its dual-band performance prevents against nearby wireless network interruptions. The D-LINK DAP-1520 IEEE 802.11N’s AC750 Technology ensures increased speeds over a wide coverage. It delivered more than expected and what is even enticing is the fact that it is warranty policy guaranteed upon purchase. Finally, it provides an extended network range once placed anywhere in your home or office. It does not come with essential ports for Network (RJ-11), PoE (RJ-45) Port, VGZ, HDMI, USB, Management port, or serial port. Setting it up entails a one-touch configuration by pushing the WPS button found on the DAP-1520 and the router, or also AP if you want to extend, or the DAP -1520 automatically configures itself effortlessly. 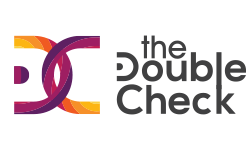 The DAP is also easy to configure using the supported QRS Mobile app on the Android or iOS mobile device. It has an inbuilt setup wizard that enables the router to wirelessly configure with a PC using a browser. For D-LINK DAP-1520 IEEE 802.11N Software and hardware support, contact the company’s friendly support team who will help you in every step of the way with the setup or any troubleshooting queries. Since many sellers ship and sell this item, the warranty policy may not apply, unless you purchase it from an authorized seller or from the manufacturing company itself. Therefore, it is advisable to buy D-LINK DAP-1520 IEEE 802.11N from an authorized dealer, and this should be discouraged. That will ensure that the warranty covers you in case of damage. It will hence save you money that you would spend repairing it or replacing it all together. If your router starts misbehaving, drops Wi-Fi connection to devices, or starts becoming slow, you know it is time to replace it. There are some products in the market today, but not all will serve you to your expectation. Therefore, forget about other brands and embrace the D-LINK DAP-1520 IEEE 802.11N. This is true beyond any doubt that it works perfectly well. And, the fact that you can mount it on the wall without power cables gives it an edge over all other routers. It is an excellent router that is worth your time and money. Therefore, be wise and make it your networking partner.